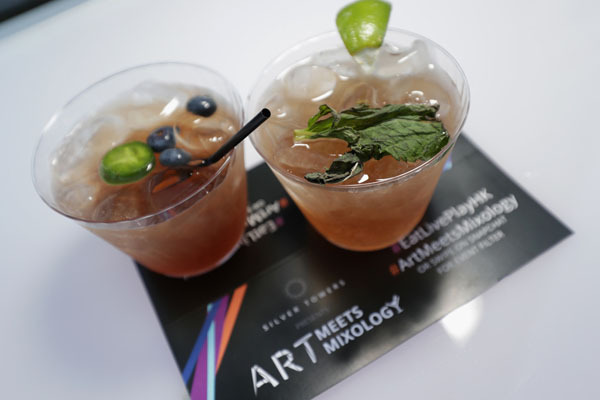 At Silver Towers Presents Art Meets Mixology event acclaimed mixed media artist, Miguel Ovalle, and his video collaborator Dru Blumensheid, unveiled “Hell’s Kitchen Rising,” a three-dimensional, eight-foot sculpture, depicting the past, present, and future of Hell’s Kitchen. This event was part of a series celebrating the Hell’s Kitchen neighborhood and in a past issue, we gave you the inside look at “Silver Towers Presents A Taste of Hell’s Kitchen,” which celebrated the culinary joys of living the neighborhood with fare from many of the top local chefs. Both also paid homage to Larry Silverstein’s vision for the neighborhood, which he had more than 30 years ago when he purchased the land where Silver Towers stands today. Mr. Silverstein has also been a supporter of the visual arts and has actually housed artists in the World Trade Center towers for over a decade. 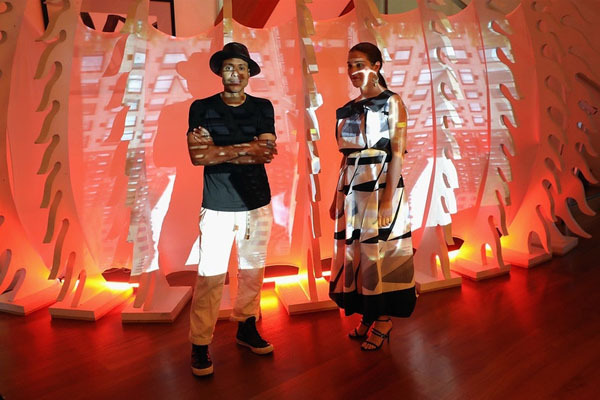 “We were thrilled with the opportunity to work with Miguel again on this project, as he currently has his “Galactical Ride” sculpture displayed on the 69th floor of 4 World Trade Center where we’ve converted 34,000 square feet of raw office space into a street art gallery,” said Aisling Gregory, Director, Marketing & Digital Media of Silverstein Properties. “I am excited that I was able to do this piece for this event,” said Miguel Ovalle, an acclaimed street artist also known as, Dizmology. Guests were also treated to food from some of the best chefs in Hell’s Kitchen including 5 Napkin Burger and Le Vela, and cocktails were sponsored by 1893 from the Makers of Pepsi-Cola. 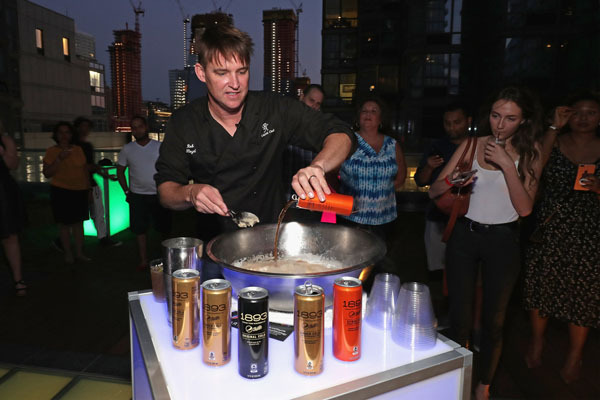 In addition, celebrity mixologist, Rob Floyd from Bar Rescue wowed the crowd with his interactive, intimate “Cocktail Theatre” performance demonstrating the power of liquid nitrogen to create a melt-in-your-mouth summer cocktail.